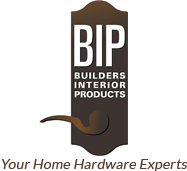 Whether you’re upgrading your bath, kitchen or any other room in your house, BUILDERS INTERIOR PRODUCTS carries a large selection of cabinet hardware, door hardware, bath hardware and many other home accessories. We are a Hardware Design Studio in San Antonio, Texas, with more than 4,000 square feet of showroom floor space. Our experienced staff members are always available to assist you with your project, with technical, as well as design advice. In addition to sales and service, we also install all of the products we carry. Locally owned and operated since 2000, we are one of the industry’s leading providers of high quality products. Count on our superior customer service to ensure you get the help you deserve. 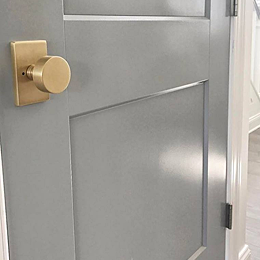 Ensure you have the finest hardware available for your front door as well as all of your interior doors. We will help you transform your home. 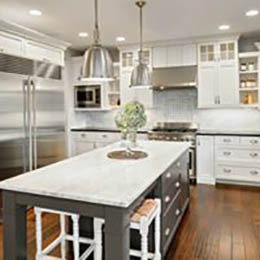 Enhance the overall design of your kitchen with new cabinet hardware. Choose from one of the many selections we have in our showroom. Customize your bathroom design with high quality bath accessories. We have all of the latest designs. 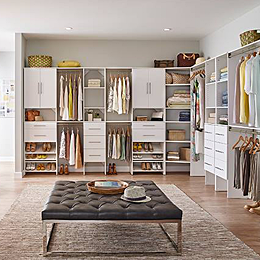 Create additional space in your home with our ClosetMaid closet systems. We can help you get organized! Call us for additional information about our products or showroom. When it comes time to update your home, come by our showroom and check out the many styles and finishes we have available. One of our expert sales members will be ready to help you select the hardware that's right for you. Our showroom has house address plaques, custom closet systems, custom garage organization, and many more items to choose from. 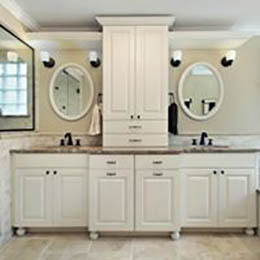 Count on us to install any door, bath, or cabinet hardware for your home, as well as all of our closet systems. If you have recently moved into a new home and are not sure if the previous owner still has a key? We can rekey or replace your locks, or put on an electronic keypad. We have a one year warranty on all of our products and services.